Still check in on you….. I have slowed down on leaving comments. 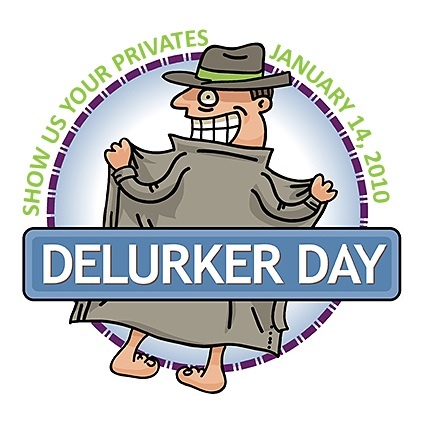 Happy delurking! Hi! I comment more on Facebook than your blog, but I’ll try to be better! 🙂 One of these days we HAVE to meet in person – you are SUCH a hoot!! I officially delurked on your big news post but will introduce myself here too – I love your sense of humour and since I suffered from infertility and now have my one miracle child, I am hoping the same for you. Your news truly made my day. Take care and enjoy every minute!